Recipe: Ice Cream for Pregnancy! Many of our clients know our famous "no ice cream in pregnancy!" rule. We recommend that our pregnant clients strictly limit or totally cut out ice cream, because its high fat and caloric qualities can spell trouble for mom and baby...we've seen it time and again! Well, fortunately, like many rules, there are loopholes in the no ice cream rule! Enjoy this delicious alternative to ice cream and feel free to get creative, making different flavors, and experimenting with fresh or frozen fruits, honey, or other healthy additions. In a food processor, mix cashews, oats, and protein powder. Pulse until a flour consistency is reached. Add maple syrup and almond milk and pulse a few more times. Add in the dates and process until well combined. Batter should resemble a thick sticky paste. On a cutting board, cut chocolate into small chunks with a knife and fold in chocolate into mix. With wet hands (important step! ), roll cookie dough into small round balls. Place on a plate or cookie sheet covered with parchment paper. Peel bananas and cut into quarters and freeze. Once frozen, you are ready to make the ‘ice cream’. 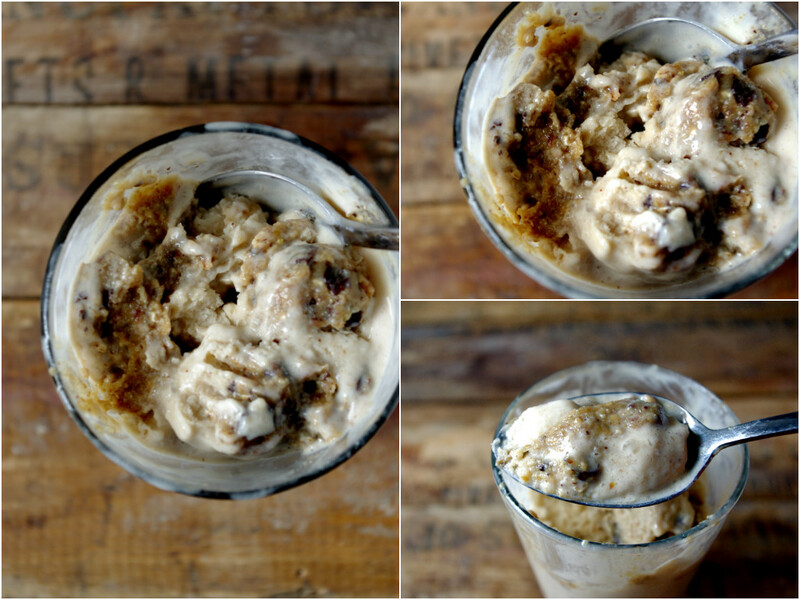 In a food processor or blender, combine banana, almond milk, ice cubes, and nut butter. Blend until smooth. Once your ‘ice cream’ is thick and scoop-able, divide between 2 glasses. Drop in a couple cookie dough balls to each glass, and enjoy!